Xuong Giang Ancient Citadel is located in Xuong Giang commune, Bac Giang City, Bac Giang Province. This is an ancient citadel built by Minh dynasty (of China) in the 15th century. Bac Giang is an ancient land with long tradition connected with the history of the country during the period of building and defending the country. Xuong Giang Ancient Citadel is located in the commune of Xuong Giang, Bac Giang City, Bac Giang Province. 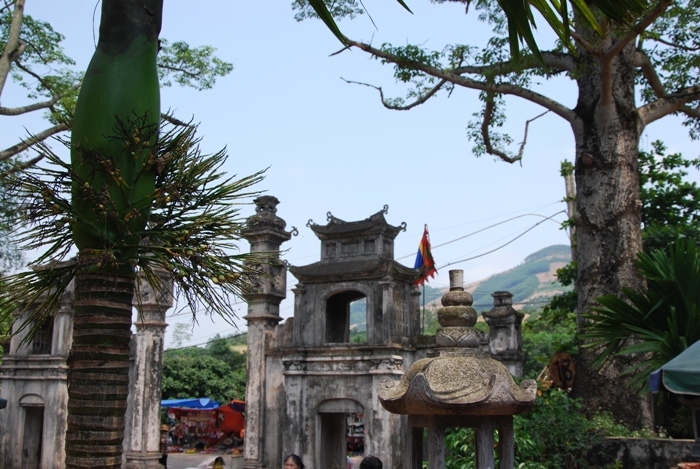 Xuong Giang is the name of the ancient citadel built by the Minh dynasty in XV century (1407). Built from earth, the remnants show that the citadel is rectangular, the length in the direction of East – West is 600m, the width in the direction of north - south is 450 meters and it has an area of 27ha, with thick soil walls, four fortresses in four corners and the citadel is surrounded by wide moat with 4 doors, the main door faces the West. The victory of Lam Son- Le Loi insurgent troops led by General Tran Nguyen Han occupied Xuong Giang citadel and destroyed Lieu Thang's army, made an important contribution to the historical victory overthrowing the yoke of tyranny Minh lasting 20 years and was a decisive victory for the independence of our nation in the XV century.